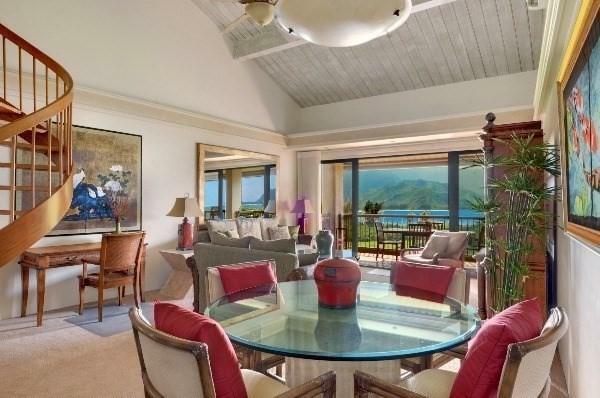 This penthouse unit # 9304,5,6 has the best view of any condo for sale on Kauai and one of the very best views in Hawaii. 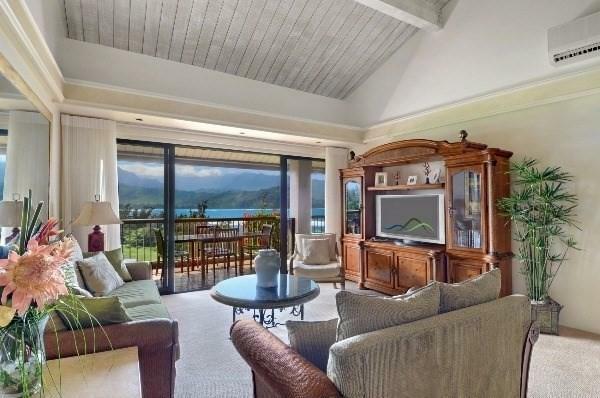 Hanalei Bay Resort is a 19 acre beachfront resort adjacent to the St. Regis in the Princeville resort.This is an air conditioned 3 bedroom 3 bathroom unit with an additional sleeping loft with 2 twin beds.. 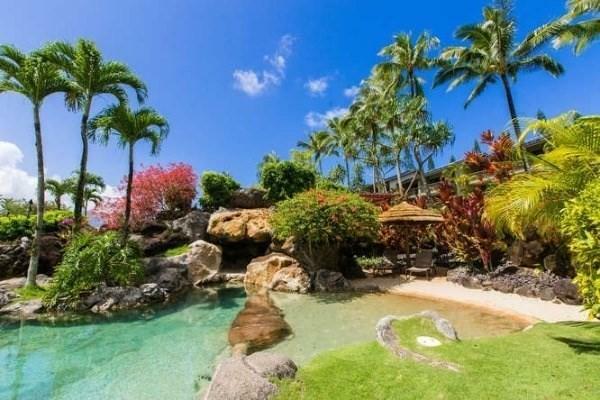 The 3 bedrooms all have spectacular ocean, mountain, waterfall, Hanalei Bay and Bali Hai views. 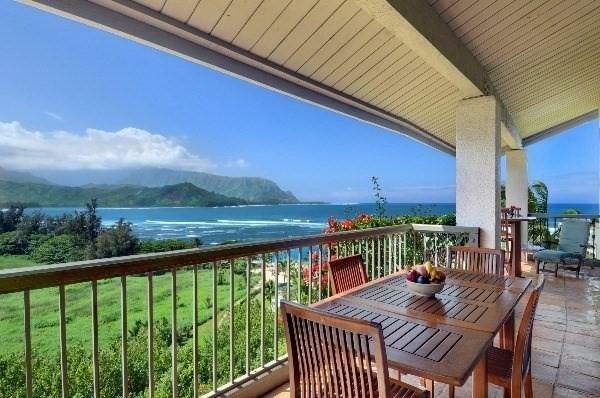 Each bedroom has their own lanai.There is golf cart shuttle service throughout the resort. The maintenance fee pays all the utilities. This unit is an active turn key vacation rental with The Parrish Collection.Amenities include:8 Tennis Courts - 4 Hard Court and 4 Artificial TurfPath to Beach with Golf Cart pick up. The beach features swimming snorkeling and the world class Hanalei point surf breakFitness Center open 24 hoursLagoon Pool with Lava Rock Waterfalls and Swim up Bar voted best pool in the US by FODORS IN 2010.Happy Talk Lounge with live entertainmentShort drive to Hanalei town for restaurants, shopping and all of the beach and water activities of Hanalei Bay.Variable rate commission if listing agent brings in the buyer.